Very lean, slightly smoked Danish ham slices. 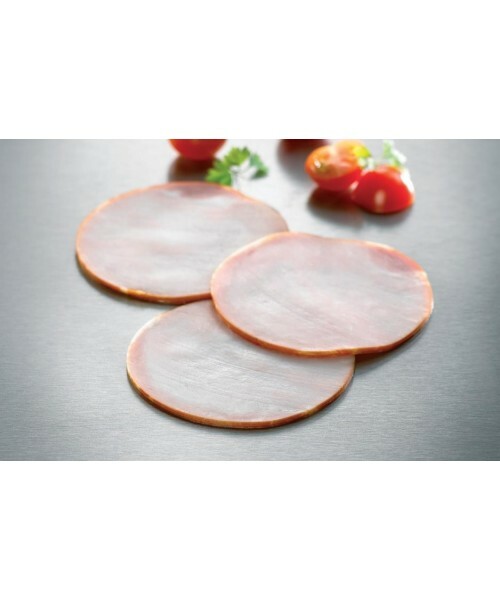 These smoked ham slices are perfect for open sandwiches - "smørrebrød. We recommend "Ham and Italiensk Salat " - buttered rye bread topped with the smoked ham slices, with a generous dollop of the special element that transforms this otherwise ordinary lunch into one of Denmark's most popular smørrebrød.The special element is called Italiensk Salat, a quintessentially Danish sandwich topping that is almost always paired with ham. Mix together chopped carrots and asparagus, throw in some peas and mix with mayonnaise, mustard and sour cream Enjoy! 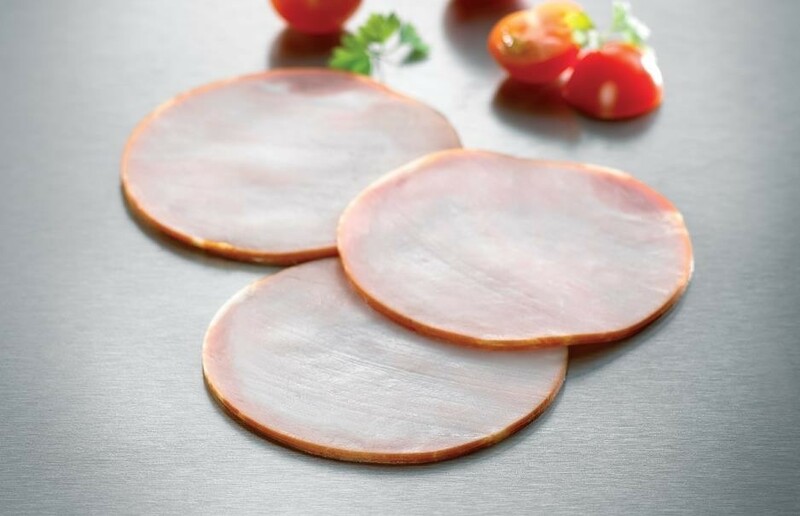 Please note: our Ham In Slices is ordered fresh from Denmark on a twice-monthly basis, so there may be a slight delay in getting this to you. But it's well worth waiting for! Pork (78% ), water, salt, pork protein , stabilizers (E451, E407), antioxidant (E301), preservative (E250) .